Learn to make your own pose-able figures. 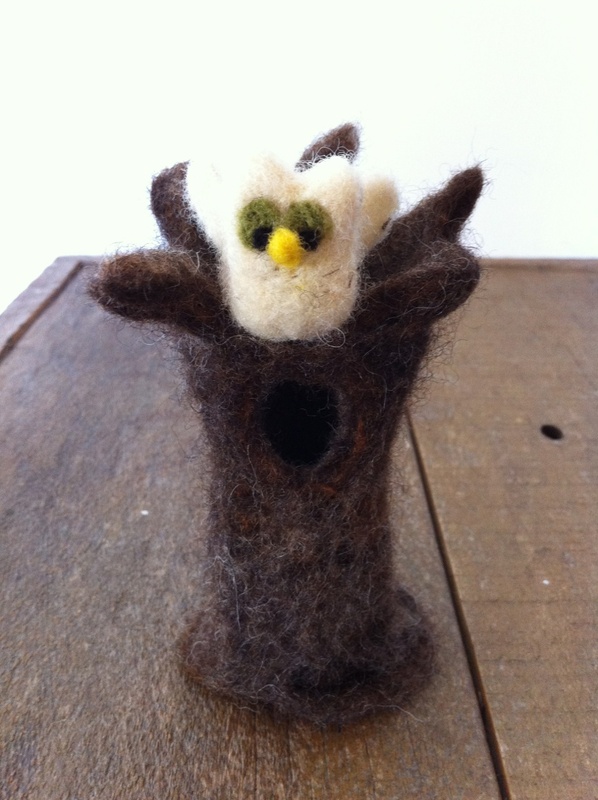 This workshop will teach the basics of needle felting and will create a three dimensional fibre art monster to take home. Participants will learn: the basics of 3D needle felting, the tricks to creating a fine finish on your work, how to use wire in fibre sculptures to create flexible and poseable creatures, and mix wool like a pro. No previous felting experience necessary. Minimum 4 and maximum 6 participants. Materials Needed: Felting needle(s), a mixture of Corriedale wool, foam blocks and wire. Materials can be purchased separate or as a kit for $10 at Baaad Anna’s Yarn Store. Please bring a pair of your own scissors. ← Purple Hat Knit-A-Thon This Sunday! Will there be knitting beginner classes available on sats?